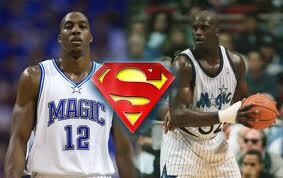 Shaq vs. Dwight: Who’s the Better Superman? I love Drama! Do you know who else loves drama? Los Angeles. 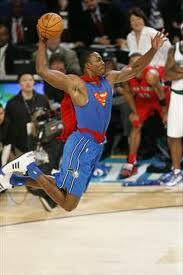 That is why the sports world is gobbling up the recent lovers quarrel between the new and old Supermen. Shaquille O’Neal and Dwight Howard have been jabbing each other back and forth for a couple of days now. Shaq thinks that Dwight isn’t half the center that Andrew Bynum is, or even Brook Lopez, which is a little far fetched, and Dwight thinks Shaq is old and should move on with his life. With nearly identical starts to each of their respective careers, one can only think about which of these players are better…and who would win in a fight. There are people saying that Shaq’s comments are stemming from past frustrations with the Lakers organization and more specifically, Kobe Bryant. 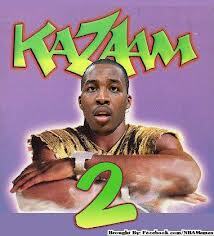 There’s also the fact that Dwight Howard seems to be living Shaq’s life a decade behind him. Both players were drafted by the Orlando Magic as the first overall pick in the NBA Draft and eventually carried their teams to the NBA Finals where they each fell short. After four years with the Magic, Shaq looked for the big bucks and signed with the Lakers where he went on to win 3 NBA Championships and put his name along side Lakers center greats like Wilt and Kareem. 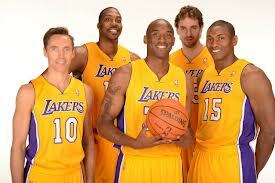 Dwight didn’t want to wait out Free Agency as he demanded to be traded and eventually ended up with the Lakers where he is now considered to be on a championship caliber team. In both instances, the Orlando Magic drew the short end of the stick and found their franchise in shambles while their former superstars enjoyed the LA glamour. 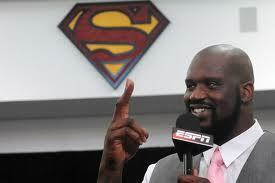 So why does Shaq seem to hate Dwight so much? Maybe it’s because Shaq’s former frenemy, Kobe Bryant, stated that Dwight was the best defensive Center he had ever played with, which was a clear jab at Shaq. Or maybe it’s because Dwight is trying to steal the spotlight that Shaq enjoyed so much while he was donning the gold and purple. Maybe it’s because Shaq’s self-dubbed nickname “Superman,” is now being used by Howard himself after the unforgettable slam dunk contest performance. Never the less, Shaq is pissed and he is taking out his anger on Dwight. Dwight has stated multiple times that he isn’t trying to follow anyone’s career and that he is an individual who just wants to be himself. I find it hard to believe Dwight because since he moved to LA I have heard from my sources that he is in the works of creating Kazaam 2 and Blue Chips: Back to School. This entry was posted on October 5, 2012 by MatthewToddErich. It was filed under Basketball, Los Angeles Lakers and was tagged with Dwight Howard, fued between Dwight and Shaq, Shaquille O'neal.